For most runners, buying a pair of socks is a tad more complicated than just grabbing a pack of Bonds off the rack at Coles while doing the groceries. If you’re anything like me you need a product that breathes, doesn’t bunch up, helps reduce blisters and above all else is comfy. Add into the mix the need for them to handle the rigors of lots of training in everything from mud to rocky trails and you’ve got a list of demands that your everyday socks just can’t live up to. At first glance you could be forgiven for thinking the SmatWool socks are a bit old school. Their design is relatively simple, using a blend of wool and nylon in a fitted system that feels great and doesn’t move about. There’s minimal padding in the underfoot area, but enough in the places it’s needed for comfort. Plus being made from wool means they possess very good moisture wicking properties. The running socks in their range are essentially a lighter weight hiking sock and while they have low cut versions, my preference is for the high cut ones as they afford a little protection for your ankles and are also warmer for those chilly winter sessions. I tested them throughout a recent trip to Tasmania that involved all sorts of weather conditions and terrain. They never let me down and were good in the heat as well as the colder times when trudging through snow on mountaintops. What’s more, they were quick to dry when hand washed at camp and never got smelly. 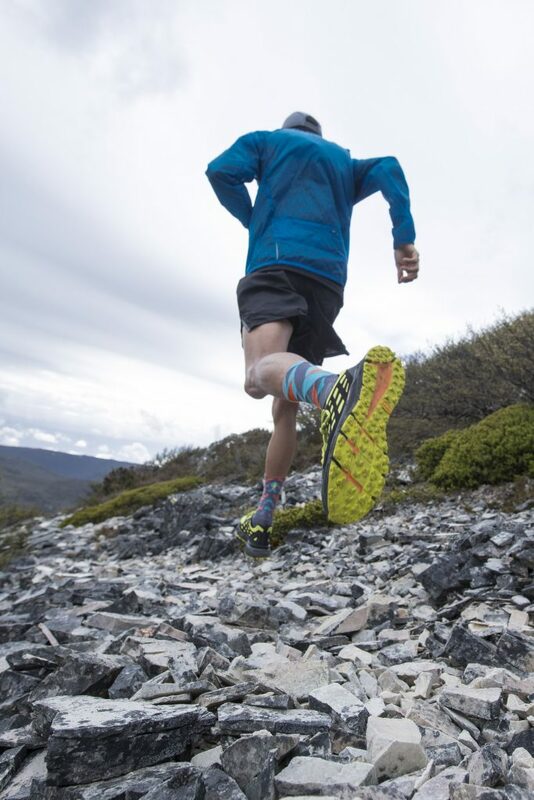 SmartWool Difference – pushing the boundaries of Merino. The SmartWool story started on a rugged Colorado ski slope with the belief that toes didn’t have to be cold. One simple pair of Merino socks challenged the conventional wisdom and forever changed the way outdoor enthusiasts looked at their feet. It’s not just about the Merino, though. It’s what they do with it that makes SmartWool different. For over 20 years, SmartWool’s been pushing the boundaries of Merino to create smarter, more capable products from head to toe.